Just had Rob & Simon around to clean our settees. Brilliant job was done and we will definitely have them back. In fact we will be having them back to clean our carpets in the future. They were also both very friendly and explained the cleaning process before they started. I can highly recommend Clean & Dry. 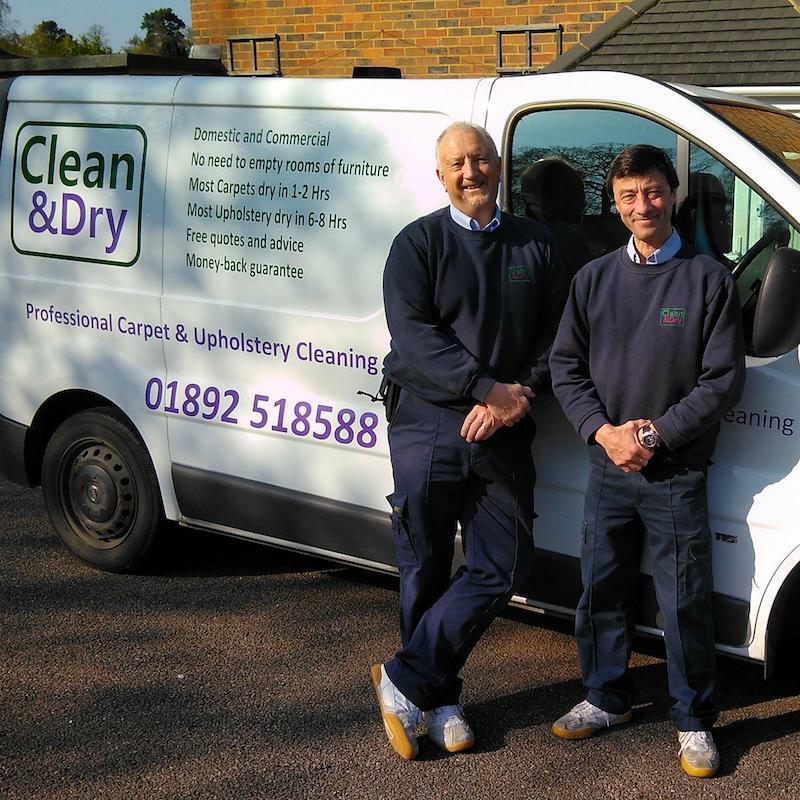 We’ve used clean and dry twice now in two properties and we’ve been really happy with the service and quality of the clean. We will be using you again from now on! Rob and Simon were fantastic. They came the same day and cleaned an upholstered bench for me. The results were really great. And they were lovely to have around the house too! Would definitely recommend. My carpets have come up like new, even in the dirty areas my dog loves to lie! Simon and Rob were really friendly, helpful and professional so would definitely recommend them and use them again. Got a carpet or upholstery cleaning question? Ask Simon & Rob anything you'd like! Upload a photograph of your carpet, rug or upholstery.